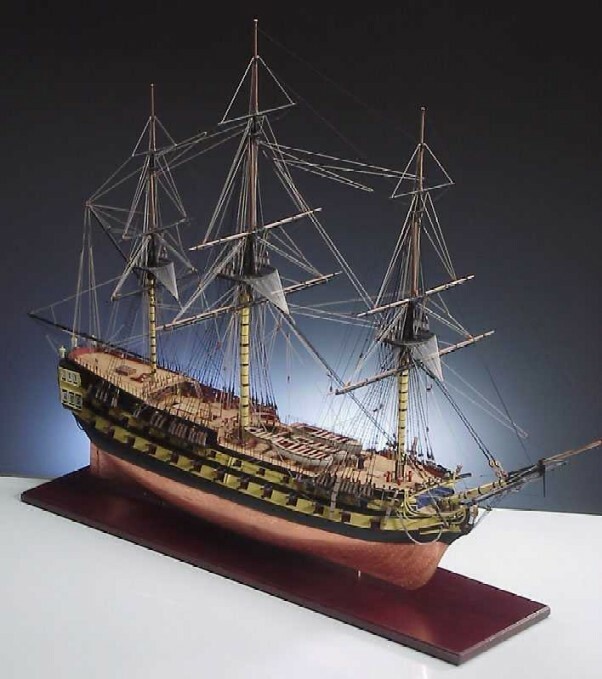 Jotika 9003 Nelson’s Navy HMS Agamemnon 1/64 scale wood ship kit! Double plank on bulkhead hull, Brass cannons, four sheets of detailed brass etched parts. CNC cut Walnut and Ply components. Black and Natural rigging hemp. Fully detailed full size plans and a comprehensive construction manual. H.M.S. Agamemnon, a 64 gun ship of the line, was designed by the famous Naval Architect Sir Thomas Slade. Sir Thomas also drafted the plans for H.M.S. Victory. Built by Henry Adams at Bucklers Hard she was launched in 1781 after four years of building. Agamemnon became one of the most famous vessels of the Royal Navy. Nelson, who referred to her as his favourite ship, commanded her between 1793 and 1796. It was in Agamemnon that Nelson lost the sight of his right eye during the siege of Calvi in 1794. He also met Lady Hamilton while on a diplomatic visit to Naples in 1793. Agamemnon was at the center of events through three of the most turbulent decades of British Naval history. Fighting battles at Saints, Copenhagen and Trafalgar. She later served in the West Indies participating in the battle of Santo Domingo, and then in South American waters, until she was wrecked in Maldonado Bay off the coast of Uruguay in 1809. Divers are now excavating the wreck after her recent discovery.